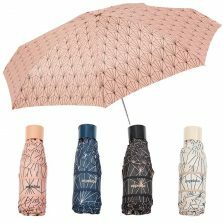 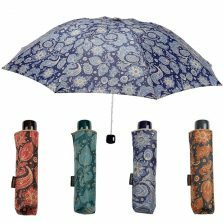 Brand new range to Umbrella Heaven from Ezpeleta Design house. 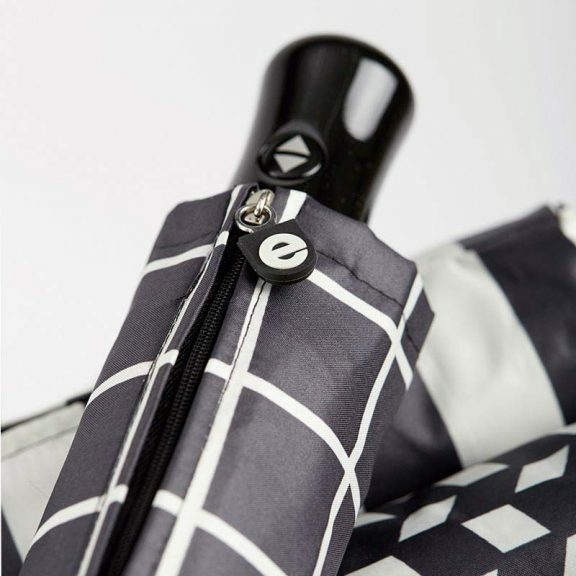 The Monochrome Compacts with auto open/close feature and extra-flex ribs are Chic, Modern and On-trend for 2019. 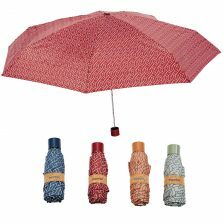 The fashion runways favourite colour combination for Spring/Summer 2019. 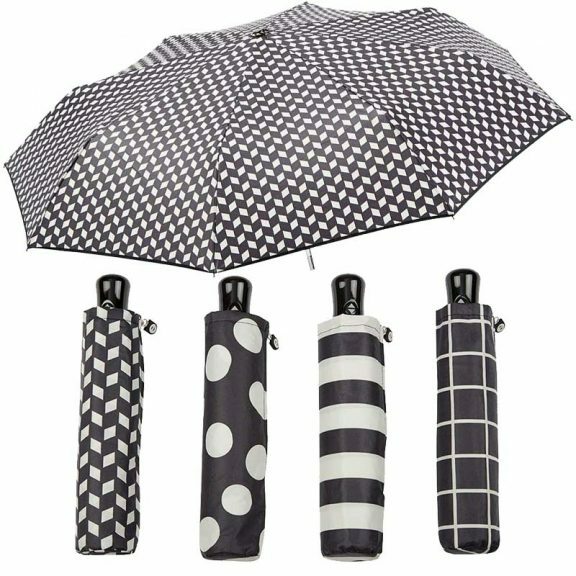 Stay on trend with one of our 4 monochrome umbrellas. 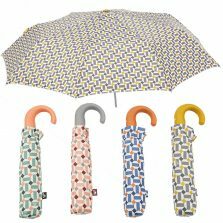 With the ability to be dressed up and down, they will always be effortlessly chic with a modern edge. 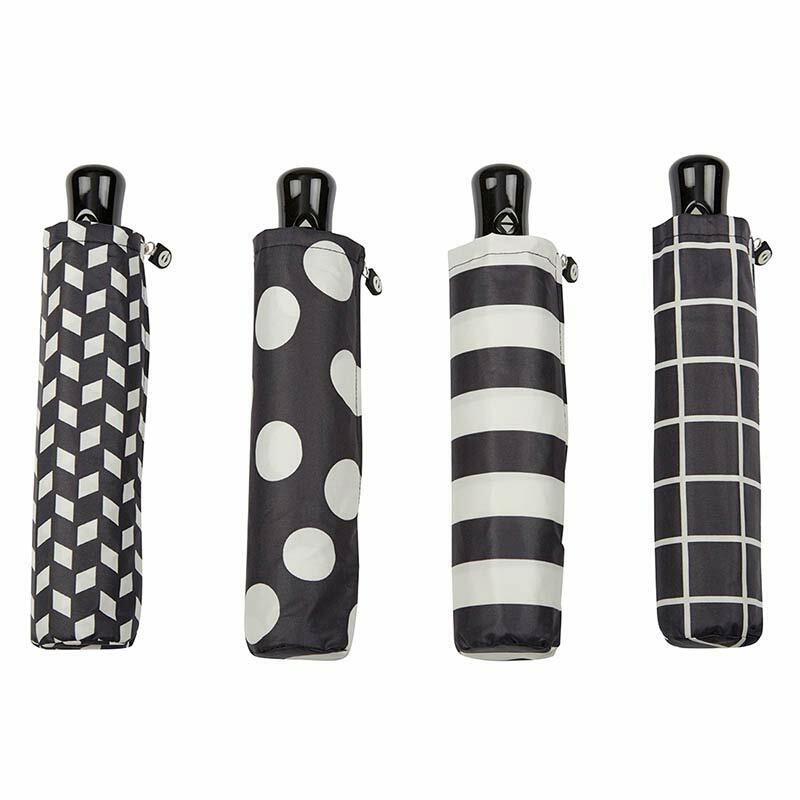 Each style comes with it’s own matching sleeve for protection when not in use. 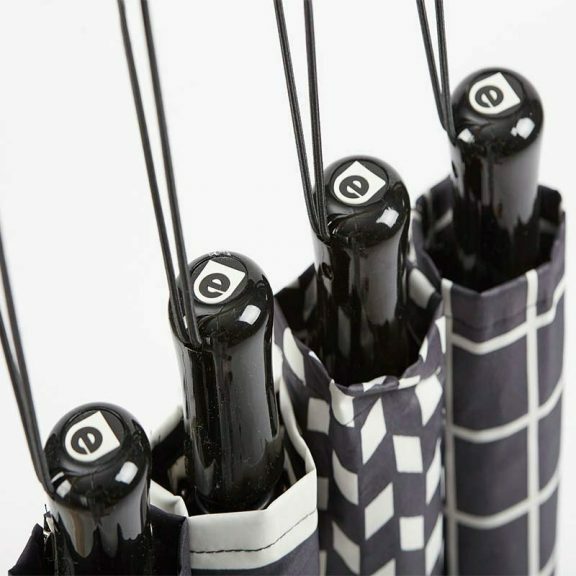 Including an auto open and close button on the handle and unique extra-flex ribs. 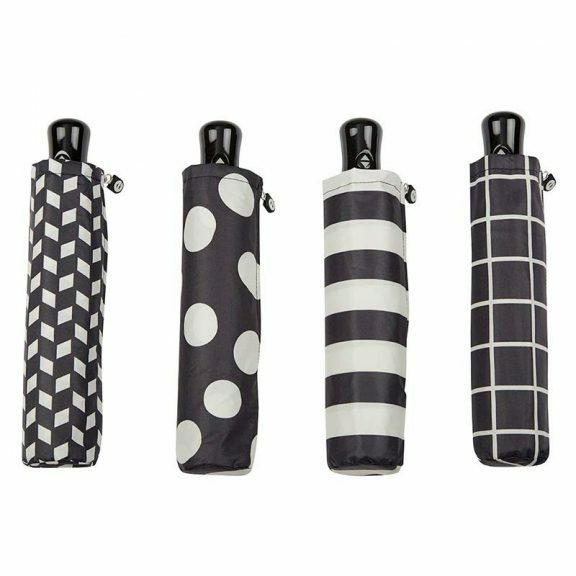 Perfect for style on-the-go. Make sure you’re always prepared for a rainstorm with this compact umbrella. And take fashion back to basics with a classic black and white colour combo. 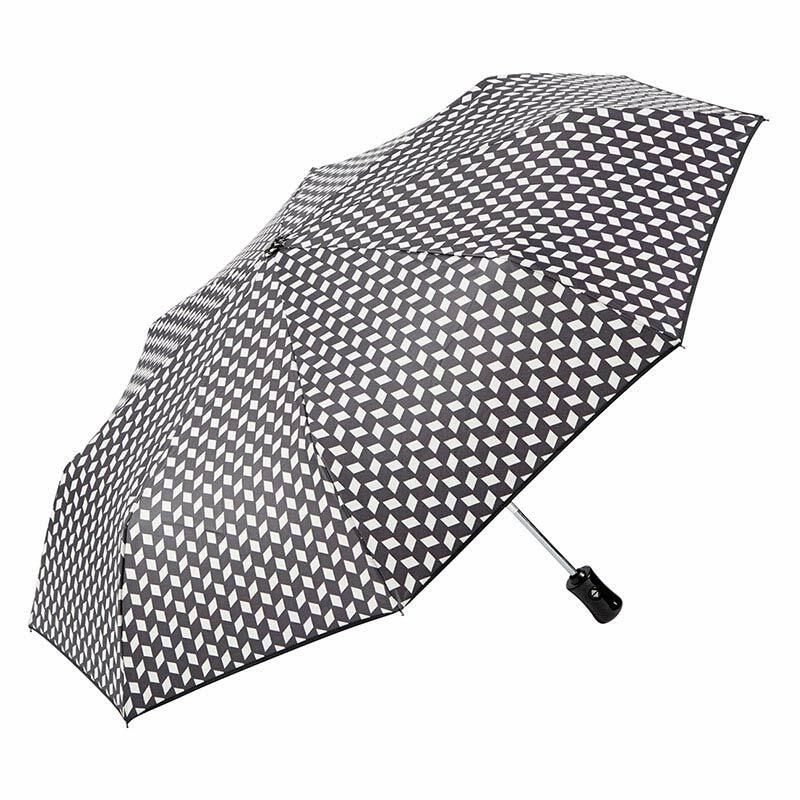 With a canopy size of 39″, metal and fibreglass ribs and a metal frame – this is a tasteful addition to your wardrobe. 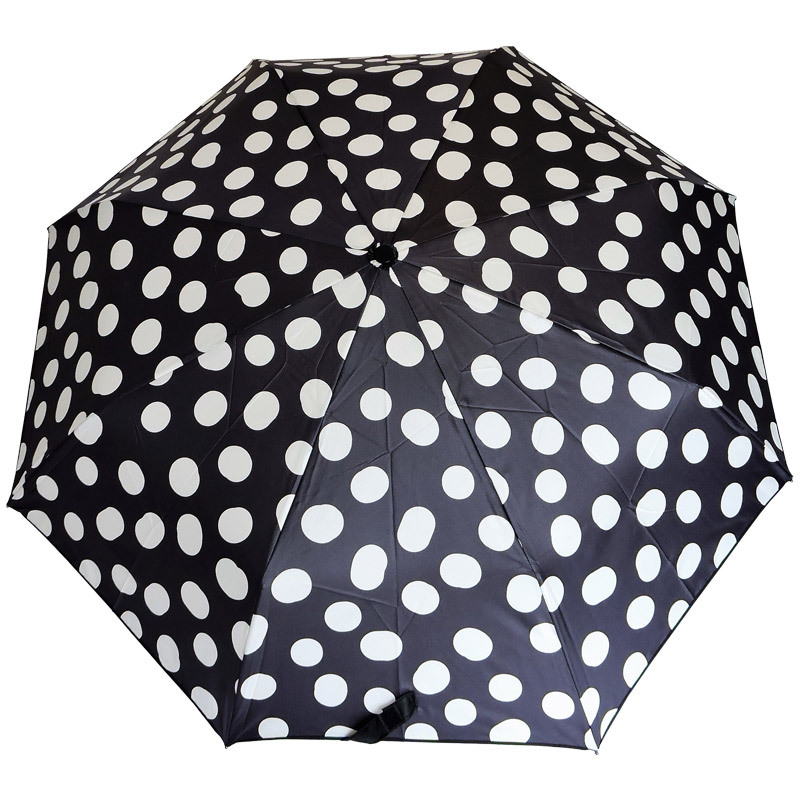 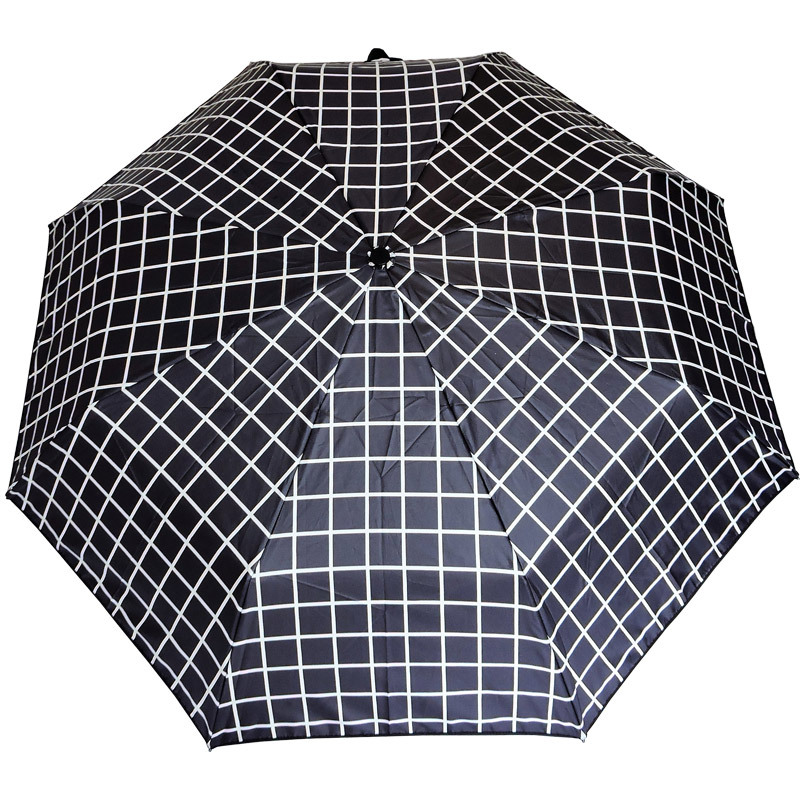 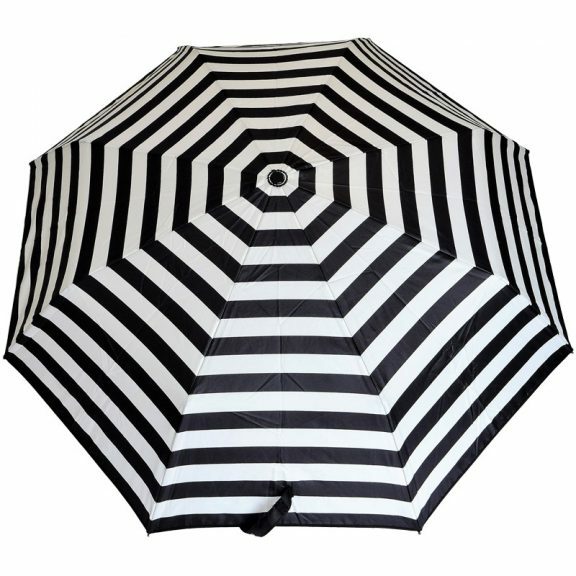 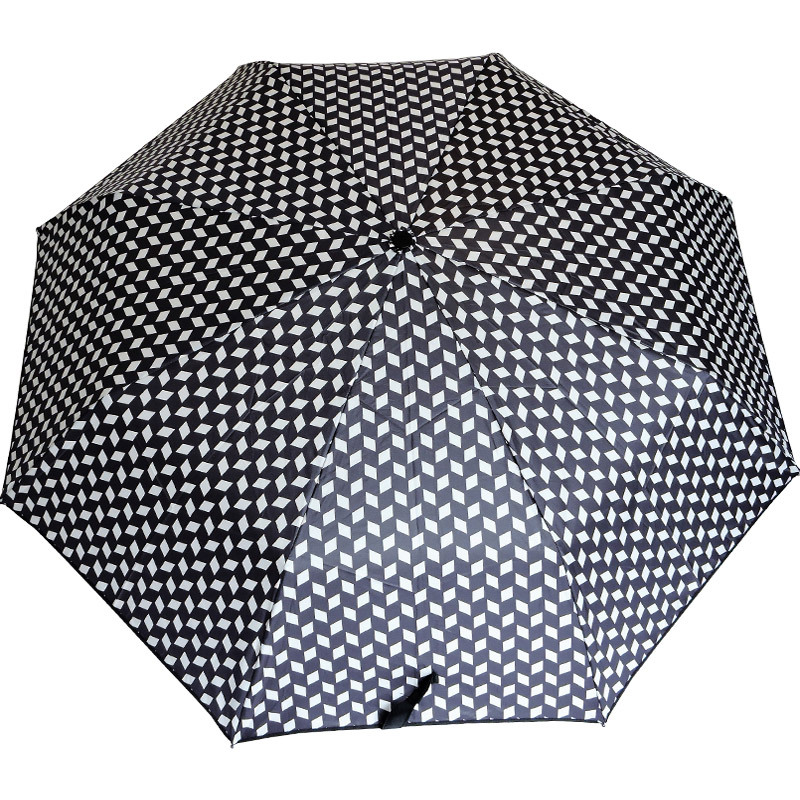 If you love this style, take a look at our Monochrome Walking Umbrella.